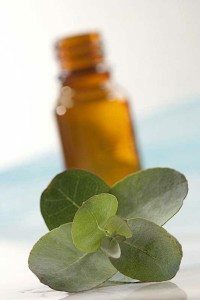 Commonly used in holistic therapies and the primary ingredients in various aromatherapy treatments, the use of essential oils during pregnancy have been known to provide healing and therapeutic effects. However, most experts do not recommend the use of essentials oils during the first trimester of pregnancy due to the possibility of premature uterine contractions and the disruption of early developmental stages. That being said, some essential oils are viewed as safe for use during the second and third trimesters of pregnancy when fetuses are further along in their development. Some of these safe essential oils include lavender, neroli, chamomile and ylang ylang; all of which are known to promote calmness, relaxation and a better night’s sleep. On the flip side of the coin, other essential oils such as rosemary, clove, sage and cinnamon are known to cause contractions and should be avoided throughout pregnancy. Here’s the rundown on some of the most popularly used essential oils amongst pregnant women and the essential oils you should avoid during pregnancy. Experts agree that lavender is safe for use during the second and third trimesters and often helps pregnant women suffering from insomnia. There are two ways to safely use lavender during pregnancy to promote improved sleep. The first and most obvious way to use lavender is to place a few drops on your pillow at night right before you go to bed. Many women have also reported improved sleep by breathing in lavender oil twice a week for 10 to 20 minutes. However, this should only be done during the third trimester. Lavender oil can be beneficial after pregnancy as well, as studies have shown it can alleviate post-episiotomy discomfort. Neroli is often used in perfumes for its sweet, flowery scent, but it also has anti-bacterial properties known to promote healthier skin. When using neroli during pregnancy, simply add a few drops to some water and apply it to problem areas and blemishes via a clean washcloth. Not surprisingly, pregnancy can lead to increased anxiety levels and prohibit your ability to focus. Whether you’re stressed out about college tuition worries 18 years down the road or picking just the right name for your newborn, chamomile can reduce your stress levels and help you relax. Try adding a few drops to a little water and sniffing the diluted mixture from a cotton ball. Ylang ylang is known for its sweet, feminine fragrance and its ability to fight anxiety. It’s extremely calming and effective in creating a sense of relaxation, but it can also be helpful in alleviating feelings of irritability, tension and anger. While essential oils are known for easing anxiety and promoting healing, it’s important to approach them with caution during pregnancy. Known for promoting circulation, any essential oils with labels saying “moving oil” should be avoided due to their ability to promote preterm contractions and labor. As you can see, there are plenty of essential oils with beneficial calming effects that are safe to use during pregnancy. However, there are also many essential oils known to induce preterm contractions which should be avoided at all costs. When in doubt, you should consult with your OB-GYN for a better idea of which essential oils are safe and able to relieve many pregnancy-related symptoms.